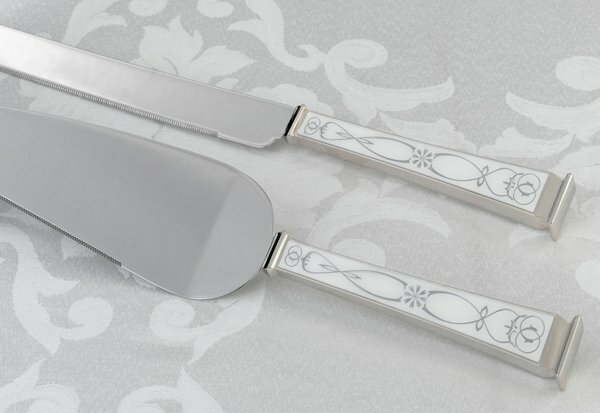 This classy cake knife and server set features contemporary, sleek lines with a retro design along the handles for a unique set that will be a beautiful addition to your big day. 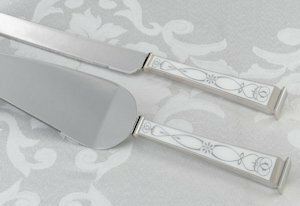 With such a fun part of the reception, the cake cutting, be sure you have a knife and server worthy of all the attention it's sure to garner. 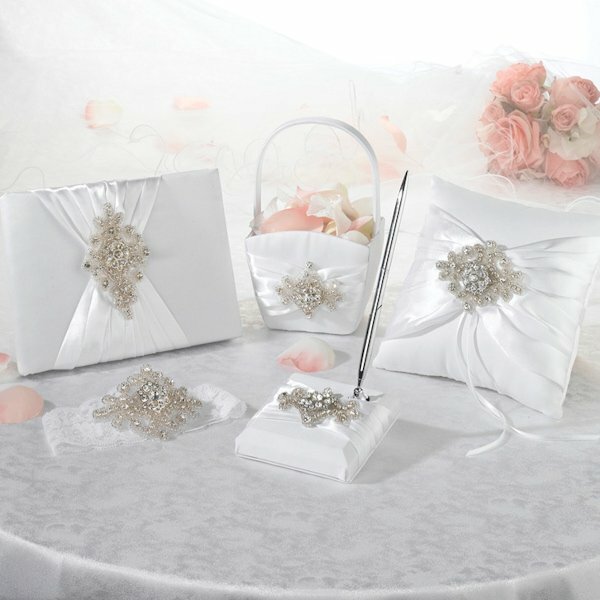 Use the set again and again after the wedding to celebrate anniversaries and more! They measure 12.25". 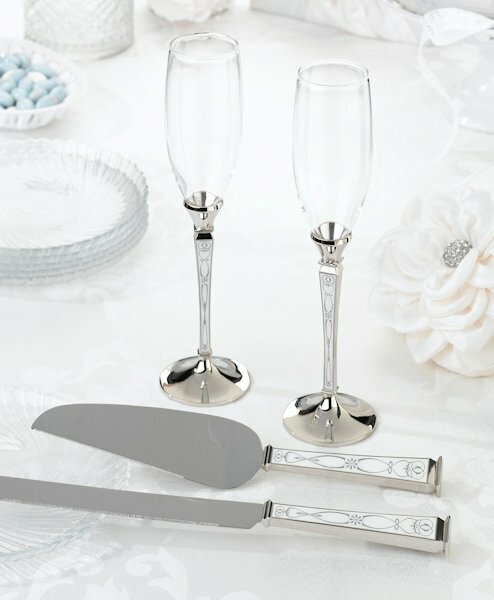 To find the toasting flutes in the image, please search G550.